A healthy eating pattern has become a culture in daily human life since long. By eating healthy foods, our metabolism will be healthy and normal. The motto of ‘make the food as medicine’ has grown steadily in recent decades. This trend indicates if a diet or food intake becomes an important key in preventing and treating various human health problems, without prejudice to the development of innovative medicines that exist today. Functional foods are defined as food that is naturally or through processing (refined products) contain one or more functional components based on scientific studies and have certain physiological functions, as well as proved not harmful to health. One of these functional foods are Probiotics. Probiotics is a functional food ingredient which has become the trend of food and recommended by many health experts. All products of probiotics successfully occupy the top foods with high sales rankings. However, as a consumer, we certainly have to be smart in choosing the right food for our family and known well what effects could be happened in our body. Food must not only contain high nutritional values, but also able to make healthy and not trigger the disease. And probiotic products meets this requirement. As is well known, experts who are members of the Food and Agriculture Organization (FAO) of the World Health Organization (WHO) have agreed on the definition of probiotics as live microorganisms which when consumed in sufficient quantities can provide health benefits for its host (2002). – A LAB is categorized as ‘generally recognized as safe’ (GRAS). – LAB is still alive during processing and storing. – LAB can survive in acidic conditions and bile salts in the digestive tract. – LAB can attach to the intestinal epithelium. – LAB was antagonistic against pathogenic bacteria. Species of the LAB classified as probiotics including Lactobacillus acidophilus, Lactobacillus casei, Lactobacillus rhamnosus, Lactobacillus Plantarum, Bifidobacterium spp, and Lactococcus lactis. To determine whether the bacteria classified as probiotics or not, every strain of bacteria must pass through a variety of scientific testing, as well as safe for human consumption. 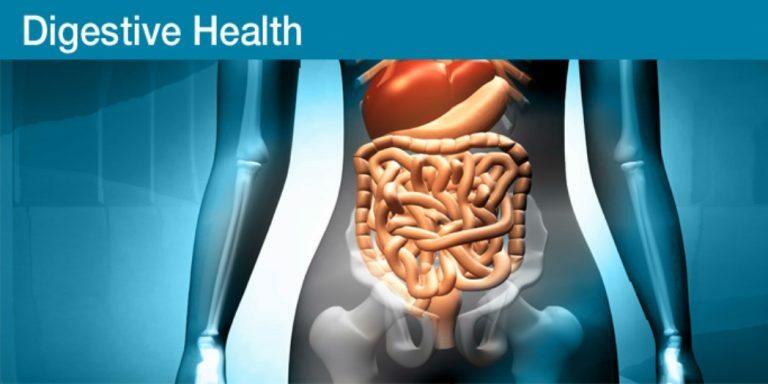 Probiotic bacteria analogous to the forefront of the army in the human digestive tract. This is because probiotics greatly affect in balancing the gut microflora in the digestive tract between good bacteria and bad bacteria. Balancing in microflora atmosphere will affect the pattern of digestion and absorption of food in the digestive tract. – Able to reduce the risk of lactose intolerance. Lactose intolerance is a symptom of diarrhea that occurs in human when drinking milk. This is because humans have no enzymes that degrade lactose milk. However, probiotics are able to do it, so the process of digestion and absorption of the milk sugar is not in the form of lactose. – Reduce the risk of diarrhea. Diarrhea can be triggered by various factors. One is due to gastrointestinal infections caused by excessive growth of pathogenic bacteria. And, probiotics could inhibit the growth of pathogenic bacteria due to their abilities to produce antimicrobial compounds and lactic acid (a potent weapon to inhibit pathogenic bacteria), so the number of pathogenic bacteria in the digestive tract decreased, and finally, infections and diarrhea can be cured. Some research suggests that probiotics are able to bind carcinogenic compounds (in vitro), such as heterocyclic amines during cooking of meat, fungal toxin aflatoxin B1, benzo(a) Pirene, and food contaminated with aflatoxin AF2. That absorption due to Cation exchange mechanism. Increasing the concentration of probiotics in each consumption can reduce the bacterial enzyme that plays a role to activate or synthesize carcinogens, genotoxic, and tumor promoters. In addition, probiotics can reduce the level of enzymes in the colon that converts pro-carcinogens into carcinogens. Specifically, probiotics can reduce the level of enzyme glucuronidase, azobenzene reductase, and nitroreductase. – Lowering the pH of the colon. 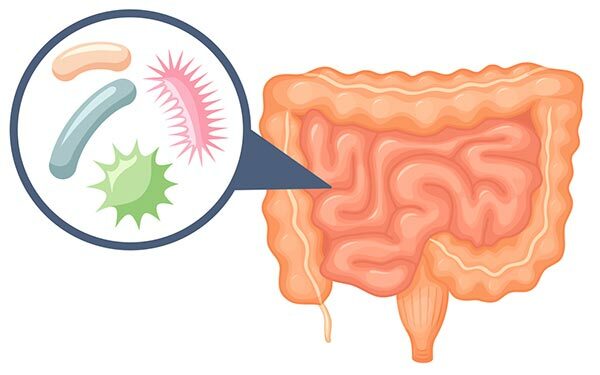 Fermentation carried out by probiotics can reduce the pH of the colon with the formation of organic acids likes lactic acid and short chain fatty acid (SCFA), such as butyric acid, propionic, and acetic acid, making probiotics can maintain the condition of the colon to avoid cancer risk. Probiotics can reduce the inflammatory response. This is indicated by studies of mice injected with tumor cells and given probiotics. In the study, this treatment can reduce the occurrence of inflammation by increased immunoglobulin A (IgA) and lymphocyte cells of T CD 4+. In addition, studies in humans also showed that consumption of probiotics can enhance the phagocytic activity of immune cells monocytes and granulocytes, and increased levels of antibodies secreted by B lymphocytes immune cells. Solis et al. (2002) also reported that administration of fermented milk can improve the production of IFN-y interferon in children who are malnourished. Constipation is caused by the transit of food debris in the colon that are too long, so it accumulated and becomes hard. In this case, probiotics can degrades the food debris and help increase peristaltic bowel movement so that the transit time of food in the large intestine will be shorter, and ultimately did not causes constipation. However, because probiotics are live microorganisms, it is important to pay attention to the dose of daily consumption of probiotics. World food experts advise people to consume at least 100 ml of probiotics that containing BAL about 1 million cells/mL every day. From the above benefits, it is time to change the pattern of our daily intake by consuming a healthy food source, such as with probiotics. In USA, consumption of probiotics contained in fermented milk products has become a daily consumption for the health of intestines, other organs and body’s system.